West Country Whipping is the easiest out of all whippings to learn, considering it contains two knots most people know already. For this whipping you do not need any needles, palms or other types of whipping equipment, making it a great way of whipping if you’re in a hurry or a beginner sailor. 1. 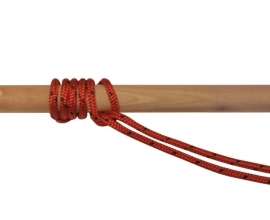 Make an Overhand Knot in the middle of your whipping twine. 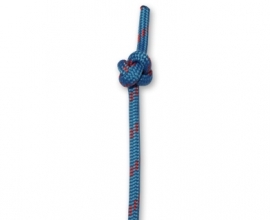 Poke the end of the rope through the center of the Overhand Knot and pull the knot tight. Make sure you only leave a small tail, because we’ll be making our way towards the longer end of your line. 2. 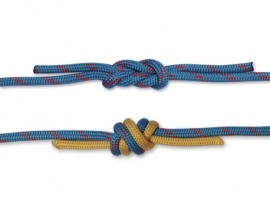 Now make another Overhand Knot, but this time on the other side of the rope. 3. 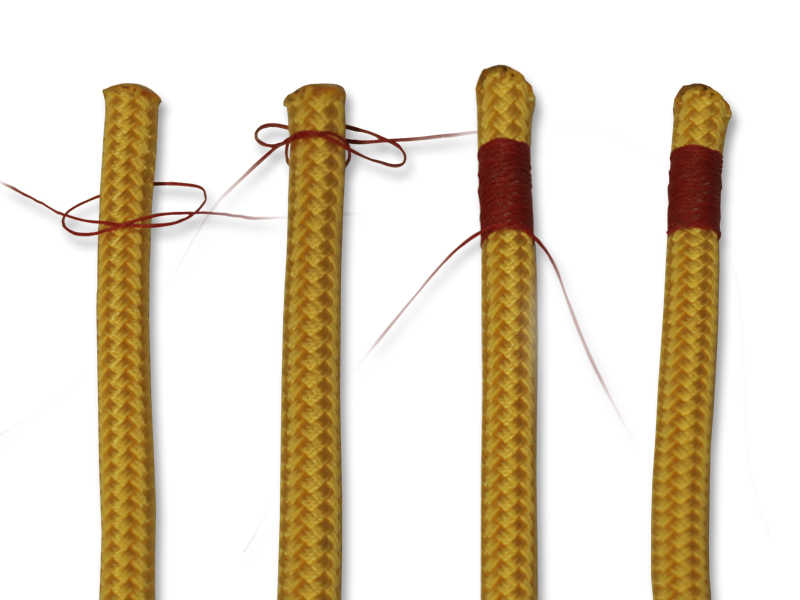 Continue tying Overhand Knots, alternating sides of the rope with each knot you tie, until your whipping is at least 1,5 times longer than you’re rope is wide. When in doubt, always continue whipping a bit longer. 4. 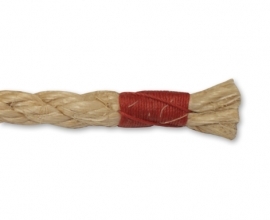 Secure your West Country Whipping with a Reef Knot and trim away the excess twine.